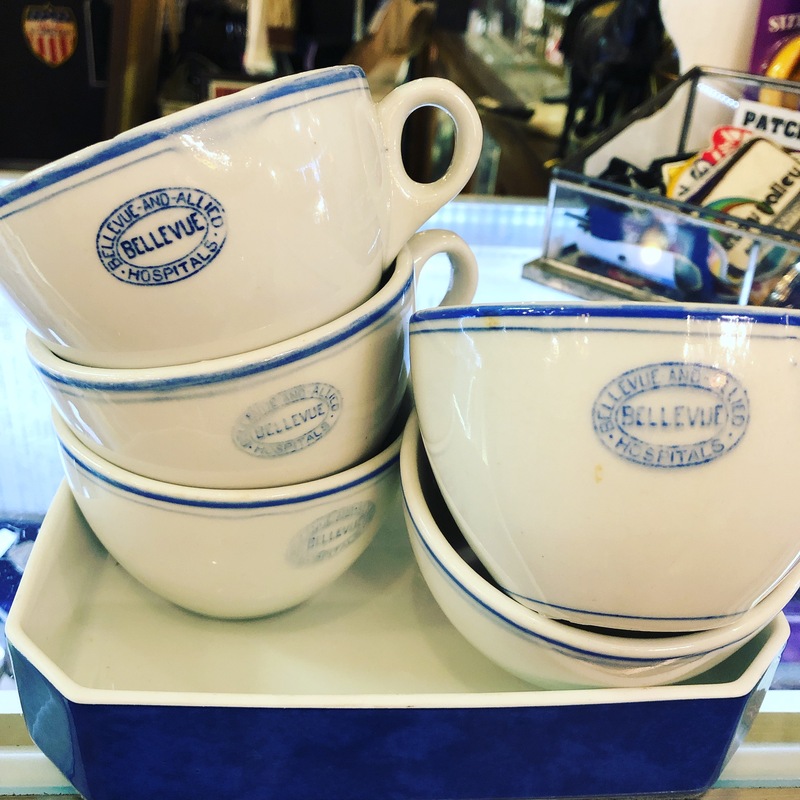 Old China coffee cups from the famous Bellevhe Hospital. $20 each. This entry was posted in institution of learning, kitchen, medical and tagged dallasconsignment, Dallasresale, Dallasvintage, dollypython, dollypythonvintage, vintagedallas by Gretchen. Bookmark the permalink.